DrugScope Comment: Is an ounce of prevention still worth a pound of cure? Is an ounce of prevention still worth a pound of cure? The European Society for Prevention Research (EUSPR) brings together researchers and practitioners from across Europe across a range of topics including substance use, obesity, criminal justice and mental health. Last week 180 members and delegates from across the continent attended the society’s annual conference to listen and debate the economics of prevention. At the heart of this year's conference, at least for me, has been a question of how prevention science works to influence policy. · The weakness of prevention science in developing values messages that work with the grain of evidence. But I also heard researchers and practitioners banding together to learn from approaches that were having traction. Whether that was the Social Research Unit in the UK working closely with the Washington State Institute for Public Policy (WISPP) to build robust benefit & cost models for particular interventions, or by developing international standards for prevention under the wing of either the UN or EMCDDA. I also heard presentations about designing systems that worked from the bottom up, including an impressive attempt to professionalise the workforce in school prevention coming out of the Czech Republic and a group that are in the process of designing a Universal Prevention Curriculum. But, the challenge of change is significant, and we were warned that over claiming for the ability of prevention to make a difference could add to any existing scepticism. 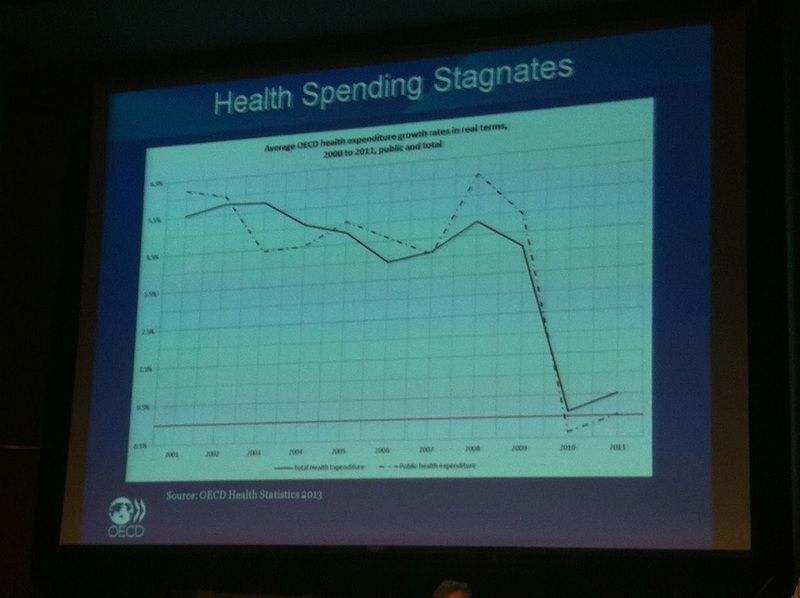 Franco Sassi from the OECD argued that while prevention is likely to be cost effective it was unlikely to lead to large cashable savings in health systems. He also reminded us that early death could be less expensive than the costs associated with long life. I felt his take home message was to recognise that policy makers are having to prioritise increasingly limited resources and that cost effectiveness information could be an important tool to help them choose where that investment would achieve the most change. Another useful perspective on the importance of the economic argument came from Stephanie Lee from WSIPP. She told us how by working up robust cost benefit analysis of interventions - always taking a conservative estimate of effect and benefit - they have been able to persuade policy makers to put aside a proportion of their budget to commission evidence based interventions. She also said that the analysis the institute has done led to a reduction in the use of incarceration for non-violent drug offences. Stephanie argued that being able to show where cost lie and benefits will accrue alongside an ability to predict whether the money spent on the intervention would be returned had been a powerful tool in their discussions with politicians. Two later speakers, Professor Peter Anderson and Professor Theresa Marteau turned our attention towards additional influences on policy; other interests (particularly economic interests) and public acceptance of interventions. Both offered a useful reminder of the tightrope that politicians and other policy makers walk in making their decisions, and that the strength of evidence is only one consideration. Professor Anderson used a case study of the influence of part of the alcohol industry on UK government policy in relation to minimum unit pricing (MUP). Drawing extensively on investigative journalism he showed how industry representatives were able to engage senior Ministers in ways that weren't open to public health interests. He argued that across a number of public health issues the relationship between industry and governments across Europe was working against the interest of health and that the public health field should avoid being co-opted in attempts to co-produce health policy. Professor Marteau took us through some of her research about how the public respond to population level interventions. She said that where the public didn't take part in the behaviour under discussion (drinking, smoking, eating fast food) they were pretty happy for governments to do whatever they like: raise taxes, increase the size of warnings, reduce availability, etc. But as soon as it was something that effected them, attitudes were much less amenable to hard interventions. Professor Marteau said that her focus group work suggested the public are reluctant for policy makers to employ policies like MUP for a number of reasons: they express scepticism about price as a mechanism to change behaviour ("people will just spend more of what they've got on the product"), government intentions are always bad ("rapacious" "they just want more of my money"), & low trust of government messaging on evidence ("they would say that"). Professor Marteau suggested that should policy makers want to make the case for price led interventions they may need to think about hypothecation so that consumers and voters see clearly where tax take ends up being spent. Another suggestion on how to increase policy makers’ confidence in evidence based interventions was made by Professor Fabrizo Faggiano who pointed out that in the pharmaceutical world 5-10,000 compounds are investigated for each medicine reaching the market. He said we should follow a similar procedure and develop what he called a transparent, and evidence-based approval process for prevention interventions. This ambitious idea would see only those interventions that show convincing results being approved for widespread delivery to its target population. My sense at the end of the conference was that while our keynote speakers were slightly pessimistic about the ability to move policy makers, other attendees went away with practical strategies they could adapt from the presentations in parallel sessions and through conversations in the informal networking that would be useful in the real world. I left knowing that having a clear-eyed view of the economics of prevention, taking a cautious view of the benefits and realistic sense of the costs of implementation, has started to change how policy makers commission prevention services, and is more likely to lead to the widest roll-out of interventions, even if it takes time to get there.